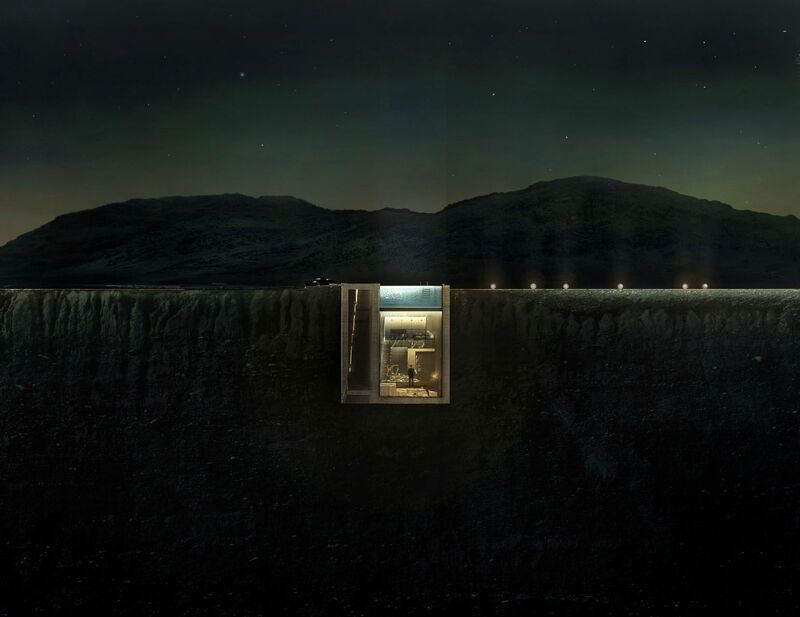 The home embedded in a cliff was originally intended to be built in Greece but the project will now go ahead on Faqra mountain, outside Beirut, Lebanon. A project to build a house embedded into a cliff face – which many have compared to a Bond villain’s ‘lair’ – will go ahead near Beirut in Lebanon. The design – called ‘Casa Brutale’ – is by architectural practice OPA. 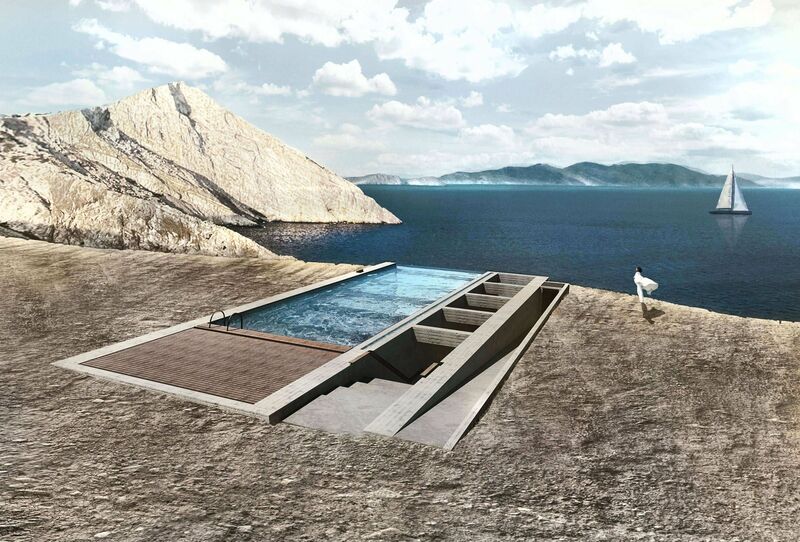 It was originally conceived to be built into a cliff next to the Aegean Sea in Greece. However, it has now been revealed that it will, in fact, be built into Faqra mountain, near Beirut, Lebanon. “Casa Brutale is a geometrical translation of the landscape,” notes OPA. “It is a chameleonic living space, created to serve its owner and respect the environment. “The residence is constructed with simple materials: wood, glass and concrete, the convergence of the surrounding earth and water. “The landscape is integral to the underlying concept, since elements penetrate and prevail over the construction. Brutalism is an architectural movement which was particularly popular in the middle of the last century. It is characterised by its use of concrete in construction. London’s Centre Point is considered to be an example of Brutalist architecture. 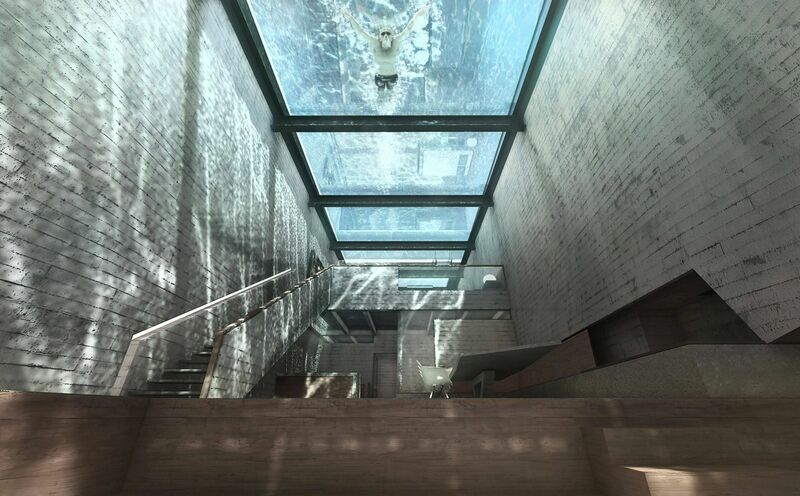 When the design for Casa Brutale was first revealed, many news outlets immediately compared the house to a Bond villain’s lair, while OPA deems it “a house suitable for James Bond”. The residence – whose design has been modified and expanded since the original – will be built at an altitude of 525ft on Faqra mountain for Alex Demirdjian, CEO of Demco Properties. It will be able to house up to six people and will cost around $2.5 million (£1,716,336) to build.